About 520,000 currently employed lawyers will retire by 2030, requiring new lawyers to fill these positions. An additional 156,000 new jobs will become available as the need for lawyers continues to grow. Due to population increases, more than 166,000 lawyers will be needed to meet the demands of the growing population. More than half of currently practicing lawyers in this country will retire over the next fifteen to twenty years. The median age of lawyers increased from 39 years in 1980 to 49 years in 2005. In 2005, alone, more than 62 percent of all lawyers licensed in the United States were 45 years old or older. Over the next 45 years, the demand for legal services within the United States will increase by nearly one third above the current need. This demand should require an additional 25 percent to 30 percent increase in the number of lawyers needed to meet the rising demand. “As a result, future law school graduates can expect soon to secure better legal jobs, have more opportunity to move laterally and earn higher incomes over the next two decades and beyond than has been the case for the last thirty years — even when they enter and remain within the legal services market with lesser professional credentials and qualifications as compared to market entrants and participants during the last three decades,” Reich-Graefe said. President LeDuc has not been alone in his views. We have noted that National Jurist previously reported about increased law jobs for the class of 2016, and that LawCrossing and Crain’s Detroit Business last fall found improvement in legal jobs on both the national and state employment scenes, respectively. 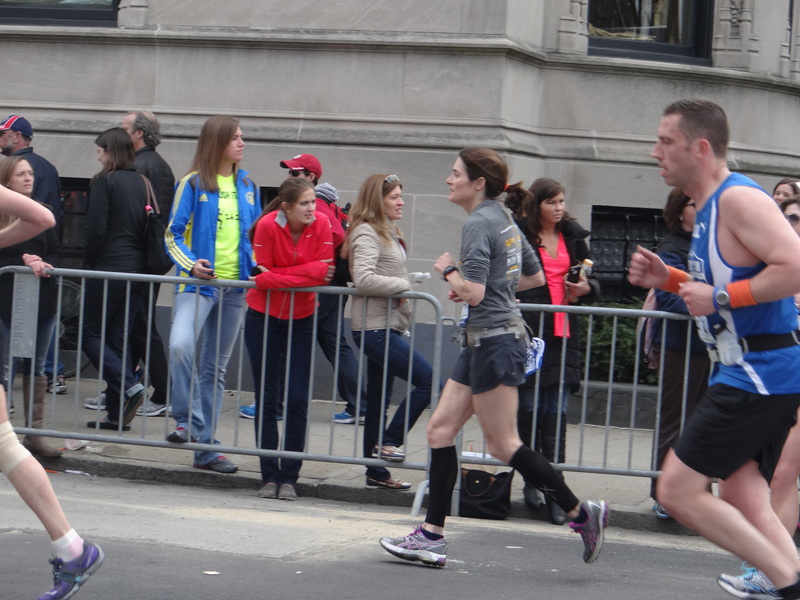 One year ago, on April 15, 2013, Kara Zech Thelen and Terry Carella both managed to cross the finish line at last year’s Boston Marathon minutes before two bombs exploded at 2:49 p.m. Both felt the shock of the events of that day, but the co-workers and friends are not deterred from running this year’s race. They will toe the start line in Hopkinton, Mass., on Patriot’s Day like every Boston marathoner has done for the past 118 years. 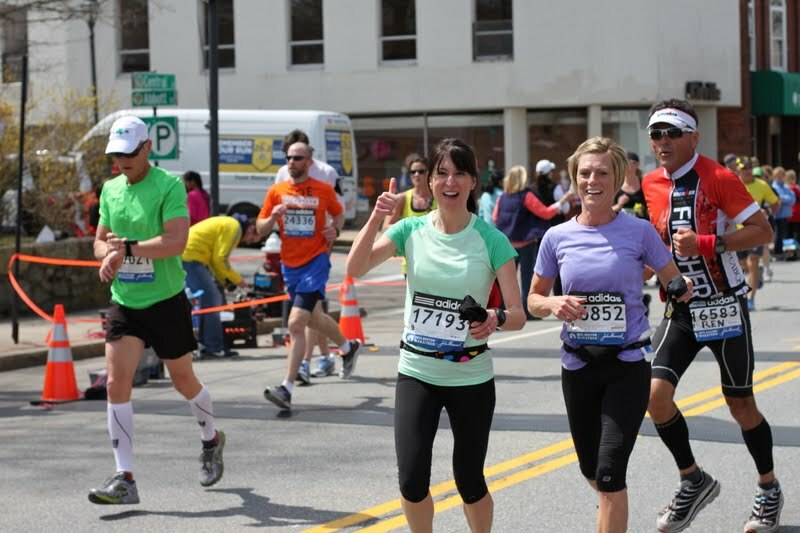 Kara Zech Thelen (center) is in good spirits as she crosses the half-way point — 13.1 miles — of the 2013 Boston Marathon. “I had gone through the finish chute, received the blanket they give each finisher, grabbed some food, and made it to the race buses, when I asked someone about the medals,” said Carella. Terry Carella as she approaches the turn on to Boylston Street and nears the finish line of the 2013 Boston Marathon. As for this year’s Boston, Zech Thelen and Carella each have been doing the usual hard training needed to prepare for a marathon, but running in Boston 2014 will be especially meaningful.